Charge your device & save the environment! Your phone charges to 100% during the night, but what about that stand-by power the charger continues to use? 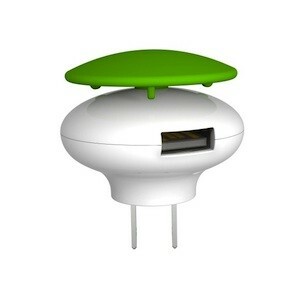 Be eco-friendly when you charge with the Mushroom GreenZero Wall Travel Charger by Bracketron. This handy device features GreenZero technology – meaning when your device is charged it quits using juice. It can charge any USB device with a USB female input, is portable for those on the go and has a cord winder for tangle-free cable storage.